Nutri Blendz Smoothie Bars: Fueling The Health Club Industry. I recently spoke with the man behind this latest craze, Ron Baird, and he filled me in on all the details. Learn more about these Smoothie Bars and how they are a positive for the gym owner and gym member! The next time you are drinking one of your favorite smoothies at the local gym it could very well be one of the massive range Nutri Blendz Turnkey Smoothie Solutions provides. Established in 2004 as a way for gym owners to significantly increase their profit margin while taking care of their clients&apos; nutritional needs, the Nutri Blendz system also serves as a devise to salvage dwindling numbers in gym supplement sales. As internet-based suppliers began holding a major share of the supplement market, the availability of gym-owned supplement options lessened. Because of its non-franchise structure, any gym can purchase a Nutri Blendz Solution as an add-on to their current profit centers. May Be A Nutri Blendz Turnkey Smoothie. 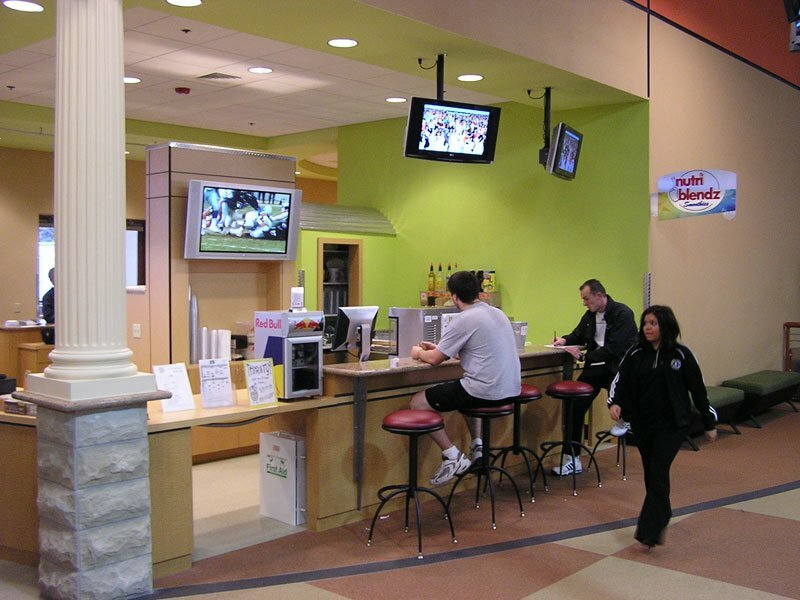 Since Nutrition Outlet began distributing the Nutri Blendz Turnkey Smoothie Solution, health club owners gained the ability to tempt their clientele with an array of smoothie flavors all made on-site from specially installed and operated smoothie bars - while generating good revenue in the process. A complete marketing program that guarantees sales success is provided to all who sign up as well as full on and off-site training to all smoothie bar operators. I recently spoke with the man behind this latest craze, RonnieB, and he filled me in on all the details. [ Q ] Hi Ron. When and how did you come up with the idea of providing the installation of Nutri Blendz smoothie bars? As early as 2001, we started to see a transformation in the health club industry throughout the US. Health clubs in the past had predominately generated their revenue by selling memberships. Outside of membership dues, additional (and necessary) revenues were generated by selling apparel, supplements, tanning, personal training, etc. to their membership base. Have You Tried Nutri Blendz Smoothies Yet? What we saw as early as the late 1990&apos;s was many of the health club&apos;s supplement and apparel sales were moving to online retail sources, reducing their revenues significantly. This left a huge hole (opportunity) in the current revenue template, hence the birth of the smoothie juice bar for health clubs. Revenue per workout (RPW) began to take on a whole new meaning. [ Q ] Exactly what kind of product do you offer? What is the available product range? We offer several different turnkey smoothie solutions. All of our solutions allow health clubs to blend a large variety of protein shakes like the PB Baggage Buster or The Jitterbug, to sweet fruit smoothies like the Peachy Keen or The Berry Buff, and tart fruit smoothies like the Pina Cool-Lada or the Orange Dreamcicle. We have smoothies that are low carb and high protein to high carb and low protein, and everything in-between. 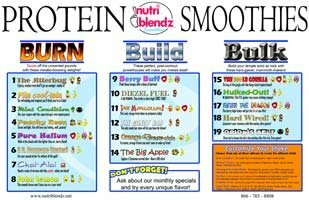 Nutri Blendz Smoothie Solution has something for everyone! [ Q ] What and who are your main markets? 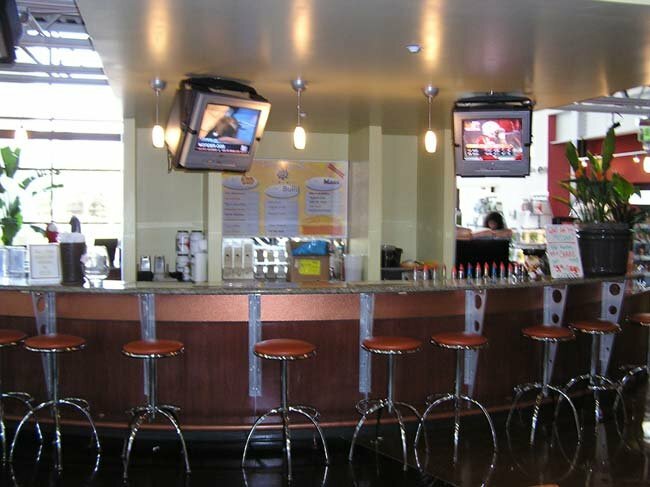 Our main market is health clubs but also includes retail locations and health food stores. 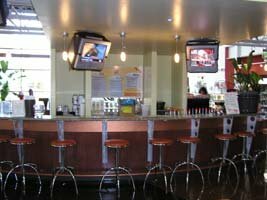 There is a huge difference between a smoothie solution for a health club and a stand-alone smoothie bar. When you have a stand-alone smoothie bar, you only have one thing to focus on and that is selling smoothies. The new, modern design is sure to make you want to use shakers again. The cup and lid were designed so that you will get a tight, snug, leak-free fit every time you put the lid on. Quickly and easily prepare delicious mixes, shakes, drinks and more! This is the perfect companion for: travel, home, office, school, gym, or even the car. 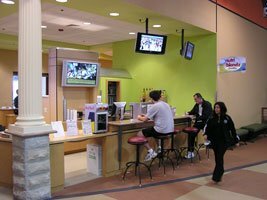 When a health club decides to use a smoothie solution, it&apos;s usually one of many profit centers the club employs. 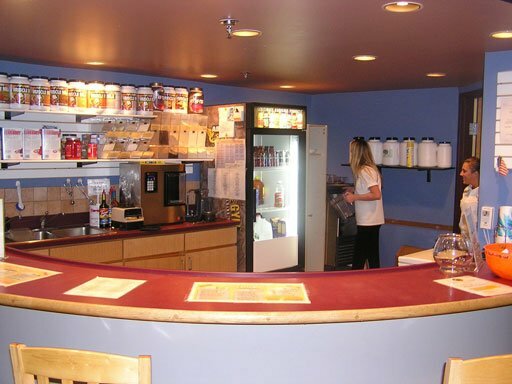 Because the workload for a health club is larger and very multifaceted, they require a simplified smoothie solution. Nutri Blendz satisfies this requirement while providing large profit margins. [ Q ] How well has you concept been received so far? It has been great! We have been told by gyms that this was the best profit center they added and if they had to build a gym all over, they would only do one profit center... a smoothie juice bar! Even clubs that were skeptical at first have told us how glad they are they decided to go with the Nutri Blendz Smoothie Solution. Was The Best Profit Center They Added. [ Q ] There are a variety of smoothie bars operating these days. What specific advantages and benefits does Nutri Blendz offer? We feel that Nutri Blendz addresses the needs of a health club better than any of our competitors in the smoothie industry today. Before we started Nutri Blendz Smoothie Solutions, we investigated the current competitors and found very strong points in most everybody out there, but also several weaknesses that we felt needed to be addressed. For example, you could go to one smoothie bar, and they would have several flavors to choose from, but the menu was too difficult to decipher. Then you might go to another juice bar and they would have an easy to read menu, but when you asked for a protein add-in they would give you a skimpy teaspoon for a buck. Is The Best Deal On The Market. We took several components from all of the industry leaders at the time and combined them with our own new ideas to create a smoothie solution that delivered great taste and nutrition, was easy to operate, and satisfied customers. Not only did we cover the full spectrum of smoothies, we did it in a way that allows large profit margins without sacrificing quality. One of the largest factors that places us ahead of the competition is the fact that we don&apos;t charge franchise fees, start-up fees, training fees, etc. The Nutri Blendz Turnkey Smoothie Solution is 100% free to use as long as you are a Nutri Blendz client. It is the best deal on the market! [ Q ] What was your original aim in establishing Nutri Blendz? We wanted to provide a new profit center for health clubs that was simple, easy to implement and would generate huge profit margins. In general, we saw that as petroleum prices were going up, health clubs were generating less and less profit on things like water and sports drinks sales. Also, more and more of the nutraceutical sales were going online and we saw this as a perfect opportunity to introduce this new profit center to health clubs. Sport Drinks are becoming more popular everyday. There are many different types of energy drinks on the market all promoting that their drink is the best. [ Q ] How successful have you been with this concept so far? We have had great success so far. 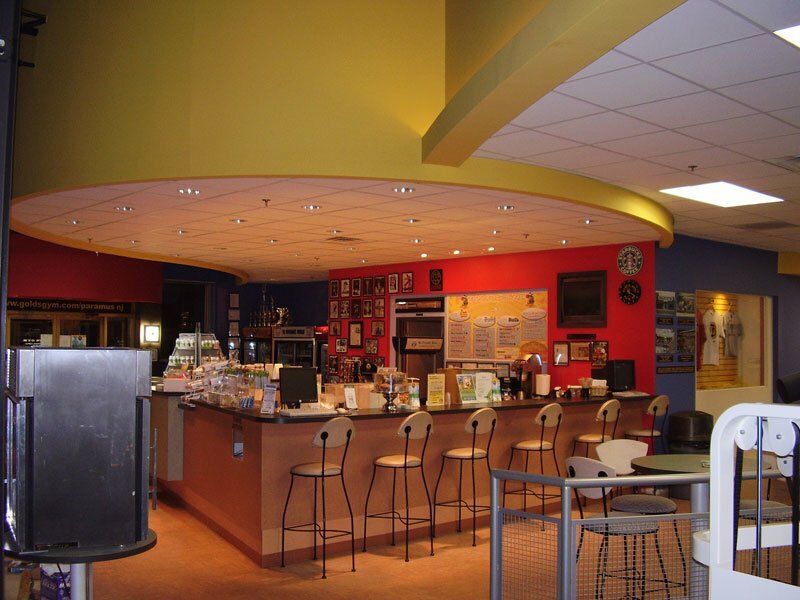 Health clubs have been ecstatic to see a new profit center that is as simple as Nutri Blendz. This is the "IT" product for health clubs. We are in the right place at the right time and have all the right tools. [ Q ] Who are some of your high profile customers? 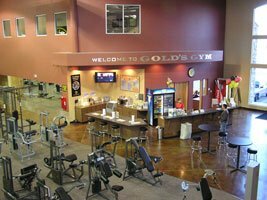 We are currently servicing dozens of the popular brand name health clubs, like Powerhouse, World Gym, etc., but Gold&apos;s Gym is by far our largest customer with over 70 Gold&apos;s Gyms alone. Outside of the franchise clubs, we have dozens of non-franchise health clubs and retail spots as well. Gold&apos;s Gym Is By Far Our Largest Customer. [ Q ] What potential financial incentives does this business offer a prospective customer? 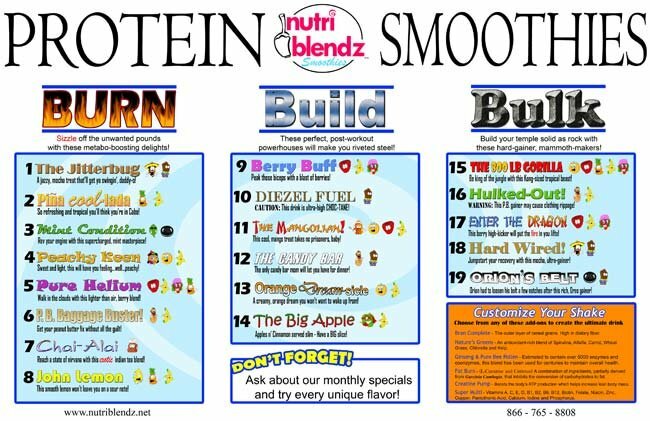 The Nutri Blendz Turnkey Smoothie Solution is one of the best profit centers a health club can add. A club can easily generate $1 RPW (Revenue per Workout) or more by selling smoothies to anywhere from 5% to 20% of their daily workouts. It&apos;s a "no-brainer." The club gets to use all of the proprietary information, marketing, recipes, and everything else for free. You can&apos;t beat it! 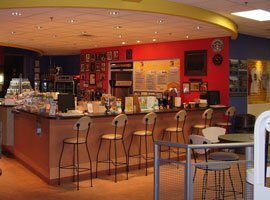 The Nutri Blendz Smoothie Solution is the best way a health club can supplement its membership dues and generate additional RPW. Does your gym have a Nutri Blendz smoothie bar? If not, tell the manager to check out the following site!